I feel I have been rather productive in the last months, yet the stash is looking big as always. I read on someone's blog that the size of the stash is always relative to its storage. 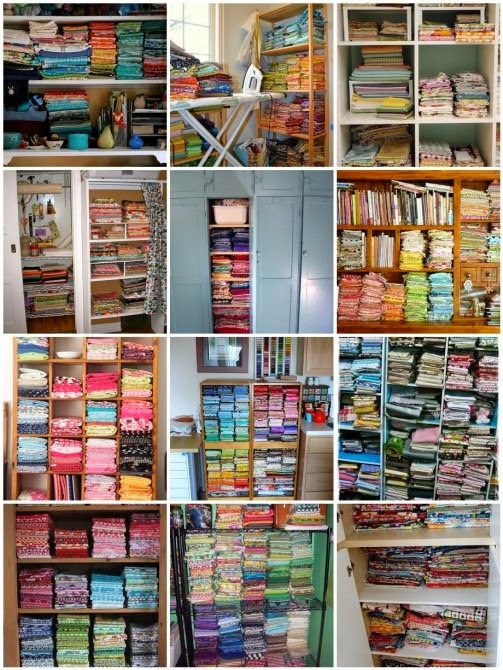 If you have a lot of space then a well organised stash like below is perfect, whereas if you only have a little space (like me) you have to get creative with storage. I am still working on the ideal storage solution, because at the moment it is all crammed away somewhere and over time I forget what I have. Anyway, after the maxi skirts I thought I work on some short skirts for myself. I started out drafting a basic A-line skirt, but the result was a little tight to be honest ... and the hem looks a little funny in the pictures for some reason. It is wearable around the house and to the school, but the next one would be bigger. 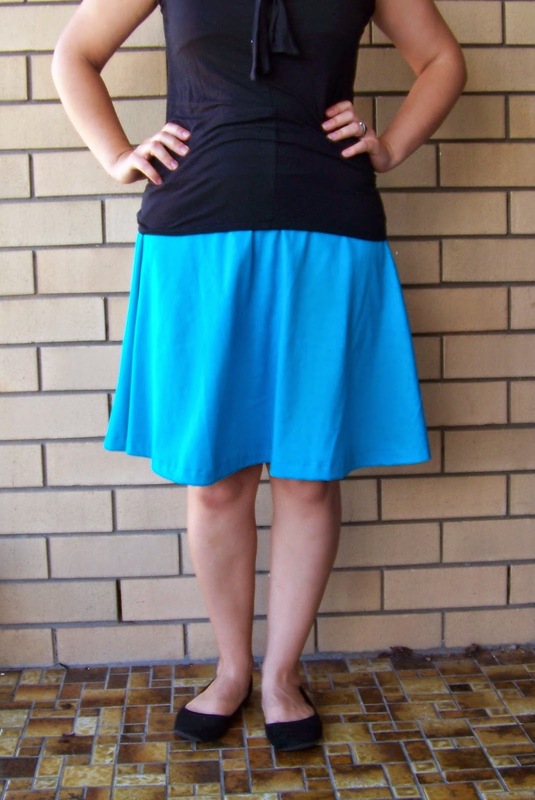 The next skirt is actually a jersey version of Sewaholic's Hollyburn Skirt. I omitted the pockets although I certainly could have done inseam pockets without problems ... hmm, maybe next time. The jersey itself was a surprise find in my stash. I have no idea how it got there. I realised after washing it that it was probably a polyester blend and judging by the smell it came from a charity shop, so really it was the perfect jersey to use as a muslin. It is comfortable to wear with a yoga style waistband and took about a hour and a half to make incl cutting .... so super fast for me. I don't think I have any fabric at the moment to make a 'proper' version right now, but who knows what I'll still discover. The skirt would be comfy with a yoga top. It's lovely - and you can never have too many house skirts and tops - we spend a lot of our time at home, so we need those sort of clothes too - especially if you are a mum at home.